Therefore, you will hold me, and those that help me, harmless for the material here, but will deal with the original poster. If you can not agree to these rules, I ask that you leave the list. Why didn't my html ("rich text") message or attachments make it through to the list? There are too many messages on this list! What can I do? How do I switch between regular mode and digest mode? Why am I getting duplicate messages? Can I get a virus from the Arlington list? What is this list good for? Now at What is the list good for Here are just a few of the many good things that people use this list for. How do I help maintain civility on the list? What is a list dinner? What is the cast of characters and how do I add information about me? How many posts a day are there? Who posts the most? How many people subscribe and unsubscribe? Why didn't my posting show up immediately? Can I change the size or frequency of the digest messages? Can I search the list archives? Where are all the recommendations archived? How do I get my business to be listed in the recommendations database on the Arlington list web site? Why did my subscription mysteriously stop? Will I get more spam because of the Arlington list? If I have a concern about the way the list is run, or an idea for how to make it better, and I'd like to discuss it, what should I do? What is the list policy on personal attacks? What is on topic for the Arlington list? Now at http://new.arlingtonlist.org/rules/ontopic (Please note that this is a new policy in an area where many people disagree, so this policy is likely to be revised a number of times before it settles down. Please check back again to see what revisions may have taken place.) 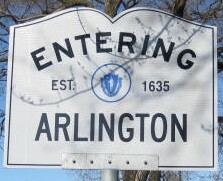 People join the Arlington list, and stay despite the high volume and wide range of topics, because they are interested in the topic of Arlington. This policy provides guidance about how to stay on topic, and explains how the list manager handles threads that veer off topic. Staying on topic is often difficult, and it is understood that there can be no hard and fast rules that everyone would be able to apply exactly the same way and get exactly the same results. Instead, staying on topic requires good judgment, which comes only with practice. Here are some questions to ask yourself when you are writing a message. When you can answer "yes" to these questions, you are probably headed in the right direction. "Does my message avoid violating any of the other list policies?" If your message contains a personal attack or the text of a private email, it’s not on topic even if it otherwise would have been. If your message is of a commercial nature, please see the policy on commercial postings ("19"). Use of Topic Keywords on the list? [rcmd] A place to post recommendations for a local business/service or to ask about one. [event] Announcements for upcoming events in or about our town. [news] Late breaking announcements about things that have happened in town. [history] Talk about our town way back when.